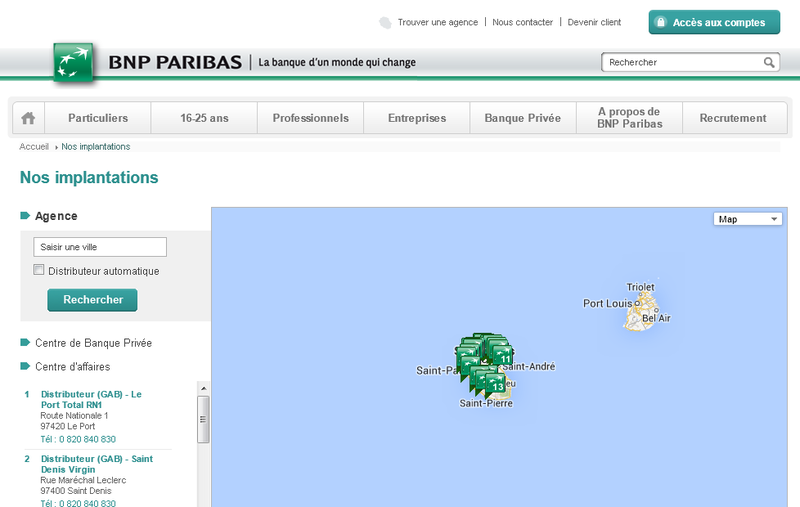 This is the branch locator page for BNP Paribas on the French island of La Réunion. As you can see, the default zoom level in the Google maps widget is set a little bit too low! I’ve adjusted it to a more useful zoom level below. 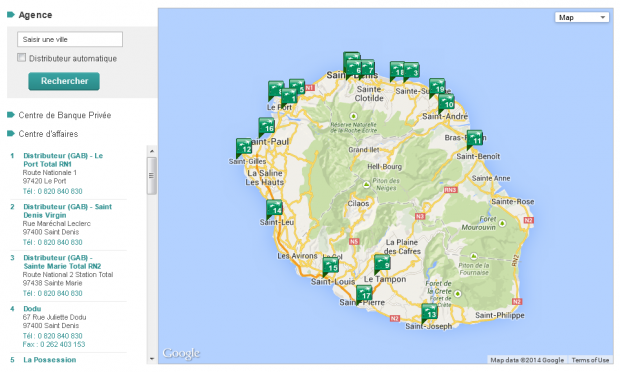 This is a good example that shows why UX is not just for the design stage – UX principles like attention to detail and efficiency in use should also be maintained in the normal day-to-day running of a site.